In the wake of the Christchurch earthquake, Bob Parker has been compared in the media to New York’s 9/11 mayoral hero Rudy Giuliani, and to Winston Churchill in Britain’s time of need, and to JFK in general. Not bad for a guy who was being reported as 20 points adrift in the polls before the earth moved. Yet thanks to the quake, Parker is now widely regarded as a shoo-in for re-election as the city’s mayor – in a contest that seems to be being decided by Parker’s television appearances during the last four weeks, rather than his performance as mayor over the past three years. Werewolf editor Gordon Campbell spoke to the previous front-runner – Wigram MP Jim Anderton – about how the earthquake has changed the mayoral race. 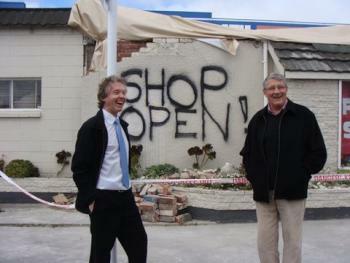 Campbell : If you’d been mayor at the time of the earthquake what would you have done differently? They would have conveyed a lot of the information that was not being conveyed, about what was happening out in the suburbs. A lot of the attention was being concentrated on the inner city, because they had these great photo opportunities of tumbled down buildings. But some of the real trauma, of sewage spilling out over the sections and no water, power and everything else, was happening out in the suburbs. 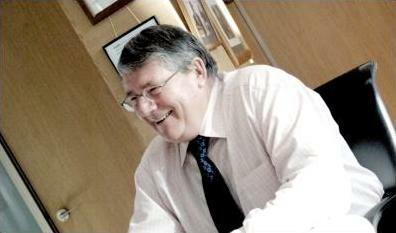 Do you think that was a function of the confusion – or was it a culpable dereliction of duty by the Council leadership ? No, I wouldn’t use the words’ culpable” or ‘dereliction of duty.” What I’d say is that its part of the culture of this Council that there’s a sort of centralisation of interest, and decision making. Which is really contained at the top – the mayor, and the chief executive – and there is, I think, an astounding lack of communication and inclusiveness of the expertise and knowledge available. Parker could probably come back on that, and say that he didn’t need your help. I’m not talking about me. I’m talking about all the other city councillors. I’m talking about the seven community boards. Their chairs, and all of their members. I’m talking about ALL of the MPs. Your critics would probably counter that by saying that you want to be at the centre of the action, and that this is just sour grapes. Please. Get back. You asked me what they didn’t do, that I would have done. I said to you I would have been much more inclusive of all the people who had expertise, knowledge and front line information from all over the city. That can’t possibly be me can it? If I‘d said me, that comment would be justified. But I didn’t. No. And it wasn’t a personal observation. It was putting up a possible criticism and giving you the chance to rebut it. Yet since we’re talking about the Council’s modus operandi…. Given the Council’s past dealings with developers such as Dave Henderson – is there reason for concern about whether Bob Parker might have trouble standing up to developers, when it comes to the re-building of Christchurch ? Well, I think you have to differentiate the ability in a situation like this, to present yourself in a public way – that is on radio, television and so on – which Bob did exceptionally well. And I have no criticism of that. He was very, very good. And actually, that’s his business. He is a presenter, and he’s better at it – whether it be the news, or on This Is Your Life – than any of us. But that’s a whole different ball game from an election, which is supposed to be about being accountable for your term of office. So looking back at that – in your opinion, what is there about his tenure as mayor that should disqualify him for re-election? Pretty much what I’ve just said about the lack of inclusiveness. There are just so many things about not communicating with people, and not allowing people to participate. For example, all Council committees have been abolished. What that means is that citizens don’t have a chance to go along and make submissions. When you have standing committees, citizens can go along and have their say on what’s coming up for consideration – but what happens now is that there’s no committee. So you end up – if you want to have something to say – going to a full Council meeting where the Council has a stack of papers about a mile high and all the recommendations from the officials which they are likely, more often than not, to rubber stamp because its too difficult to do anything else. And the citizens are left arguing against the Council recommendation when it has reached the full Council table. It’s a bit like going to a Cabinet meeting and arguing about a committee policy paper before the full Cabinet. It’s a bit late, then. Going back to those land purchases that Council made from Henderson – because before the earthquake, they were a strong part of the public perception of Parker. In your view, was the problem that he paid too much, or that the purchase was made at all? This goes to the heart of what I said about the committees and Council. Its all part and parcel of the same thing. Whether it is the Henderson deal, or the Ellerslie Flower Show or whether it is putting up the Council rents by 24% for the socially disadvantaged and then being taken to court and having to retract it, or whether it is about giving Councillor [Gail] Sherrif $4,000 to go and find out about how to build sandcastles in California….whatever. All of these things are all part of an appallingly bad process. The Henderson deal was made in secret. It was made in a hurry. The valuations weren’t obtained. They borrowed money to pay a clearly failed property developer – and if Bob didn’t know he was failing, everyone else in the city did. And they borrowed money to pay him $17 million for market value, which had to be ludicrous. So if you were in the mayoral seat, you would have gone about the process differently. But in terms of the purchase itself – was the problem that too much was paid, or that the purchase shouldn’t have been made? I can’t say about the purchase not being made, in that you don’t know all the information. I’ll you one thing – they paid an arm and a leg for it. Parker’s defence is that quick action saved those sites from being developed in a crass and piecemeal way. By whom? ( laughs.) Which developer? You mean, if we hadn’t bought those sites for $17 million, someone else would have come along and done it? Yeah, right. Looking at the Earthquake Recovery legislation, Parliament has now unanimously given Gerry Brownlee the right to suspend by Order in Council, almost every law on the books for the next 18 months. Did you feel this was overkill? You voted for it, though. Everyone did : you, the Greens, Labour. I put in an amendment – well, actually I was at a meeting of 400 people that had already been called before this came up – and so I got Ruth Dyson to move an amendment for me, to the purposes section of the Bill. It was really around heritage buildings…I didn’t want bulldozers going in – well anywhere really, until this was sorted through. So the amendment was – roughly – to add to the purposes of the Bill a priority to preserve and restore heritage buildings in the city. Now, the National Party voted against it. That raised a bit of an alarm bell with me. If you aren’t going to give a priority to that, what are you doing? Doesn’t the legislation also mean in practice that citizens who want to save precious buildings now won’t be able to go to court to stop the developers? That’s why I wanted that amendment inserted. In the purpose of the Bill it would have enabled people to say hang on, one of the priorities of this Bill is X, Y and Z. And putting a bulldozer through the likes of the Arts Centre – and I’m not saying that is going to happen – is not part of that. Right. Because if it costs more to repair a building and bring it up to standard, is there anything left now to stop developers from bowling a lot of precious buildings. On the basis of what I’m being advised …that could possibly happen by fiat….If you look at them one or two are smashed to pieces, that’s true. But a lot of them.they’ve lost a few stones and bricks and so on.. There’s a balance required. There are people here whose lives have been put on hold because their homes have been put out of action, or completely wrecked. People are stressed, and feeling strained. So people want to know if they can take action, if they need to. That’s why, in a way, you’re up against a rock and a hard place if you vote against legislation that purports to be able to help people when they need it. Right. And yet there are still lots of people being in limbo when it comes to getting a quick and definitive verdict on the state, and fate, of their homes and premises. Tell me about it. I was talking to 30-40 people in that position about half an hour ago. If you were mayor, what would you be doing about that? A lot of things are happening like this : you have three businesses together. With two of them, the premises are perfectly OK. They can’t enter them because the other one is at risk. And it puts all of them at risk. What they’re trying to find out is – what is happening to that other one, and how soon can I find out? What we’re finding is that we’ve got absentee landlords who don’t live here – some of them are overseas – and then insurance companies that are risk averse…banks and so on. And these people can’t get any decision that even tells them when they’re likely to get anything different – is it the end of the month, or the end of the year? As mayor, what can be done to bang heads together and get a resolution to this? Does it come down to a lack of manpower to do the work, poor prioritisation or what? The thing is, the Council building where a lot of these decisions were supposed to be made from was out of action. This was a brand new building we had spent $116 million on. And it was closed, since the day of the earthquake. Now its just opened up partly – but its not fully open until October 22nd. What could you do? You’d have to have a Hot Line where there is no wrong door. Now, I asked for that, from day one. 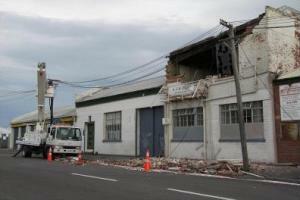 I was ringing in to say the building next to me had a huge crack right down it and the overhang over the footpath was being held on by the lead sheeting and there were people in the building – there were five flats there – and people walking under it. The Council phone didn’t answer. I rang Civil Defence and was told to ring 111. When I rang 111 I was told to ring Civil Defence…and I was the MP. Finally, I had to read the riot act and pull rank – and said look, I’ve been the deputy Prime Minister, I’m not a panic merchant in these situations, but I’m telling you there’s an imminent danger of people dying here. It was when I said that they might be on the front page of the paper the next morning that we got structural engineers up there in about ten seconds. Yes. And, in a way, you can say that’s not surprising. Also though, you’ve got ask whether the Civil Defence arrangements were adequate. This is not a criticism of the people who have worked night and day, and I’m full of admiration for them. They’re heroes, a lot of these people. But was there a failure in the system, in terms of being able to find people who knew the answers, and knew how to get them or could deal with it ? 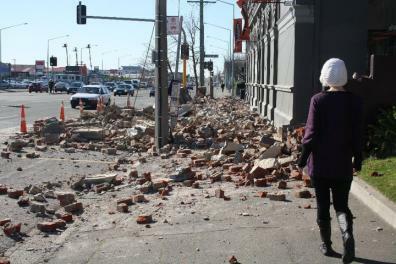 Looking ahead, do you think people should be allowed to rebuild in Bexley and some of the other reclaimed suburbs prone to liquefaction? Well, I’m told by the earthquake experts that liquefaction takes place when you get earthquakes of the size of about 7 onwards. In truth, there are large numbers of areas in New Zealand where it could equally happen. Apart from the Port Hills here, there are really not many places where it wouldn’t happen. We don’t know. No-one even knew about this fault line. 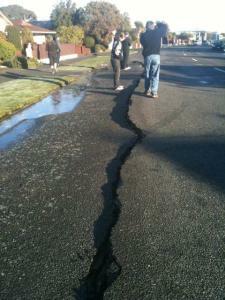 So when it comes to Bexley, which has become the poster child for liquefaction – is that a yes to re-building there? On the grounds that otherwise, where would you stop? Someone soon is going to have a decision – and soon – about Bexley and a few suburbs like it. Do you think it should be a yes or a no in terms of re-building on those sites? I think we can. But I can’t say specifically Bexley, or anywhere. But there seems to be an engineering or geological case made for not panicking about this, for looking at it carefully – and there is a likelihood, in my view, that you could rebuild. The city is still in a crisis. How can it be a good idea to change mayoral horses, mind stream? Because of the record of the present Council – and the mayor – in dealing with a lot of the issues facing the city. For instance, the rebuilding of the inner city. The inner city has been dying, for years. And what has been done? Nothing. Now, we have a bigger re-build than we had before. If the present Council wasn’t up to re-building what was there before, why should anyone think they would be up to this? You won’t be a part-time mayor any more. Would you be planning on being a one term mayor? I haven’t any intention of being a one-term mayor. So, you’ve no intention of this being a one-term footnote to the career ? I’ve got nothing to prove to myself, or to anyone else about my political career. People can make of it what they will. I don’t have to do this, and never did. Right. Not bad company to be with. ( laughs) Now that you mention it. At 72, how can you be the ideal candidate for sustainable change ? Yes, Kiwibank…and employment opportunities, and so forth. I’ve had to deal with a lot of difficult areas, and with a lot of corporates. Take just one thing as an example. 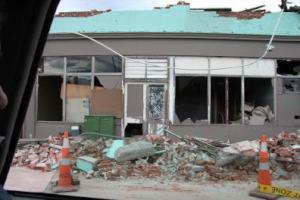 The money that is now going to come into Christchurch is going to come from overseas insurance companies. That’s because the insurance for a lot of the earthquake damage we have suffered is actually spread around the world, in Zurich, London, elsewhere. And those big insurance companies are not warm and cuddly. We are going to have to deal with them. It is probably going to be the largest amount of investment that’s ever come into New Zealand in a short space of time. So somebody who is used to dealing with government departments, government agencies, international corporations and local agencies is probably called for. Now, all of the above have been meat and drink for me for most of my political career. You’ve been described in the past as a shameless booster of the Central Plains Irrigation Scheme. Are you still – given that the last time I looked, the price tag was up at $409 million ? No, I was not a booster of that particular scheme. I was a supporter of irrigation being used to increase used to increase the productive capacity of the Canterbury plains. It’s a no-brainer that if you have a non-irrigable piece of land, it has about one fifth to one tenth the productive capacity of one that is irrigated. Now, that doesn’t mean you have to cover the place with dairy farms. That’s the point. Some of your critics would say that the current and projected levels of irrigation related to dairy farming in Canterbury are environmentally unsustainable. So you’re saying that with proper storage, the current and projected levels of irrigation and dairy farming ARE sustainable? That’s right. We wouldn’t have hydro power if we didn’t have stored water. Does anyone say that we shouldn’t have hydro electric power – well some people do, actually. I’d like to know where 60 % of our base load would come from, then. Going back to Central Plains Water for a moment – recently Prime Minister said that the government would consider stepping in with $200 million either as a loan or as direct investment. What role, if any, do you think local councils should have in funding the shortfall ? Well… and I have some sympathy for Treasury’s viewpoint, because whenever people mention money for irrigation, Treasury faces went white. Because they have a long institutional memory of the hundreds of millions of dollars – and in these days it would be thousands of millions – that went into irrigation schemes in Canterbury, and elsewhere. It all turned to custard. And in the end, they had to give them away. They couldn’t afford to run them. And so any time you mentioned irrigation – around councils where Treasury officials were present, there was almost a stunned mullet silence. The thing about water and irrigation is this. Its about results. f you take a vineyard that’s irtrigated and one that’s not, or a cropping farm with high quality food production which is irrigated versus not, you’re talking five to ten times the productive capacity. If that’s true – and I know it is true – then the investment should stack up. So councils could be expected to pony up some of it – as an investment ? Well, who’s going to supply the other $209 million? So you’re saying this project should be user pays? So what role, if any, do Canterbury councils play as an intermediary in this – is it in servicing the loan ? What councils have to do is be the honest broker in terms of the way in which the water is allocated. And just to be precise about your views on the funding. What role, if any, do the councils play in that? The funding for these projects has to come from the users. Yes, and over what period of time does that have to be paid back? OK. What do you think should have been done about Environment Canterbury, short of sacking them? What should have been done was what I did. What I did, when I was faced with a similar situation – when we had the Project Aqua proposal on the lower Waitaki.. Look, if ever there was a time to nsay, you’ve been derelict in your duty and you should put ina Commissioner ..Because it was outrageous that we have the largest hydro development since Lake Manapouri – and you have no water plan ? Run that past me again. So are you saying that when you were Minister of Agriculture, you were seeing substantive performance problems with ECAN? No, Jim Sutton was Minister of Agriculture, then. But when it [Project Aqua] came up, they hadn’t done it [ the water plan] and they didn’t have the capacity. As Minister of Economic Development, I took half a million dollars out of our funds – with Cabinet approval of course – and gave it to ECAN to develop a water plan. Now, the complete irony of all this is – that’s exactly what they did, and late in 2009, as a result of that funding, they [presented to all of the MPs in Canterbury as well as the local authorities, the plan. And we thought – bloody good. So, in short, ECAN didn’t need to be sacked? No. The irony is, if it ever needed to be sacked, it was over Project Aqua. Do you think Bob Parker was unfairly singled out for abetting ECAN’s demise, given that every regional mayor signed the letter to Nick Smith that preceded the sacking? No. He led the charge. Back to the earthquake. 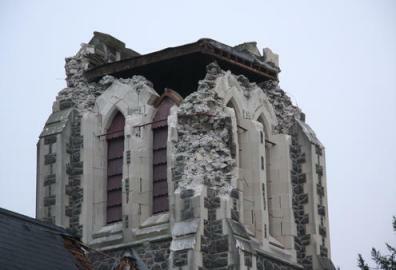 Some architects are already telling us we can’t afford to rebuild Christchurch to the same standard as it was before. I heard that this morning [on RNZ] and I was horrified. Do citizens have to accept a second-rate solution for their city? Not put on Ian Athfield’s A Team ? He should be dumped in Lyttleton Harbour. It was outrageous. Two days ago, at a meeting we had a heritage architect and he showed us, among other things…that if ever there was a place completely demolished by the biggest earthquake imaginable – except it wasn’t from below, it was an earthquake from above – it was the city of Dresden. [Anderton explains the RAF bombing, and the subsequent firestorm, of Dresden in WWII which totally levelled the city.] Faced with the option of building a new city, the citizens of Dresden chose to rebuild the city, all of the churches, the town hall, the lot. And they did it the same, and better – as it was before. And they got their kids to learn the craftsmanship that was needed to rebuild, taught them the stonework, and they used the blackened stones. To the point where you can see in places within the new stonework, what had happened. Which comes back to the inclusive nature of the response that’s needed. 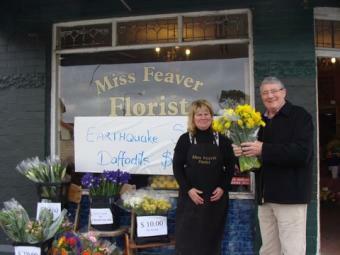 A lot of people now see your mayoral bid as a lost cause, given the platform the earthquake has handed to Parker. How can you bounce back from this? Well, we have our plans for that. I’m going out on the street. Because this is the most amazing election I’ve ever been in…Here we’ve got an election, where the campaign has been cancelled. There is no campaign. Bob doesn’t come to any meetings. He’s too busy to campaign. Oh really? So that’s why he was with Richie McCaw for two or three hours the day before yesterday. He wasn’t campaigning. Of course. So it goes. So, no meetings, Bob doesn’t turn up. The Press was going to have a debate, all cancelled. But guess what? We are going to have the election. The campaign gets cancelled, but not the election. Who does that favour? Well, you know the answer to that. So, I’m going out on the street. I’m campaigning. Now, some people are saying oh, you shouldn’t be campaigning, you should be more sensitive. Well, if we’re going to be more sensitive, cancel the election. But if you’re going to hold the bloody election, people have a right to know who’s standing for what, and why. And Bob’s just standing in front of a camera. The one thing about me, whatever my enemies might say, is that when I’m faced with adversity, I fight back…When it came to Kiwibank – was there adversity? Treasury, totally opposed, CCMAU, totally opposed. The Labour Party, practically totally opposed. The National Party, totally opposed. Mr Hide, not that he’s important, but he was opposed. Well, we got the bank, and now it’s a very successful bank. Once I decide to do something, I don’t quit half way through. I don’t necessarily say I will win. The odds are stacked in Bob’s favour. How could they not be? He’s been on television, radio and the front page of the Christchurch Press 24/7 for the last fortnight or so. And for many people….To turf him out now would be seen as ungrateful, given all the effort he’s seen to be putting in on their behalf. Yes, but here’s the one page story about ingratitude. Who took Britain through the Second World War? And what happened to him at the first election after that? (laughs) People also talk to me about the mayor of New York, Guiliani. And I say yeah, he did get a lot of credit for that. But where is he now?